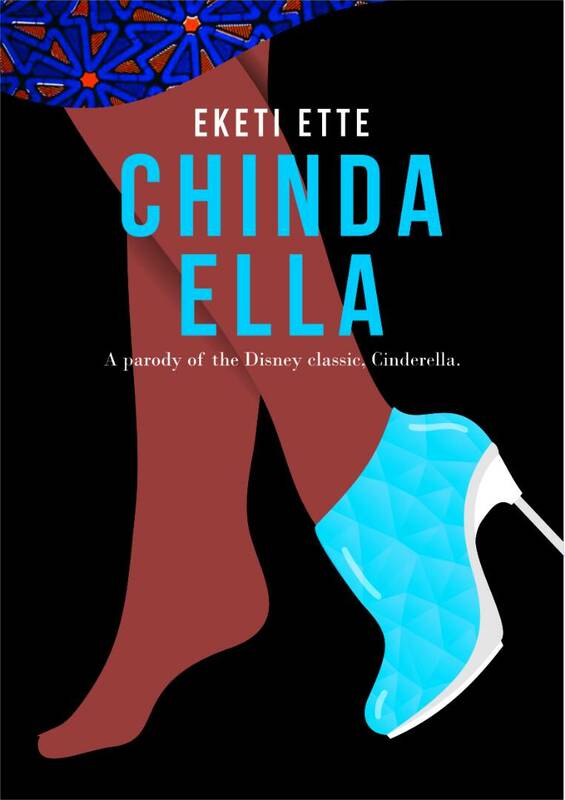 Today’s #WriterSpotlight features the creative Olutayo Irantiola. He is a poet, novelist and biographer. Olutayo is a writer who believes rejection is not the end of the world. Enjoy his interview with us. I am Olutayo Irantiola, the first of four creative children; I am a writer, my younger brother is a photographer; my first sister is a make-up artiste while the baby of the family is into fashion. I have written poetry, novella, drama, tributes, biography and at times, I engage in social commentaries. My grandfather whose biography I wrote, is a historian. I grew into loving writing as a student of Literature and over time, I persisted in writing till I improved significantly. Can you share any lesson you have learnt on your writing and publishing journey? My publishing journey began when I wrote the biography of my maternal grandfather; Rev John Adegoke Okesiji titled, ‘True Calling: Life and Times of Rev JA Okesiji, JP‘. I went to various publishers before I eventually got it self-published in 2010. In the same year, I was published under the monographs of Centre for Black and African Arts and Civilization (CBAAC) category; my anthology of poetry in English and Yoruba titled, ‘Thought Patterns’. I approached the centre based on a newspaper publication about their intention in publishing new African writers at that time and I was fortunate to be published. I have learnt that my writing has to be further scrutinized before it can be published; I have learnt that your opinion on your work is not final and I learnt patience and the ability to accept rejection of my scripts. My most rewarding moment was at the launch of my first book. I felt accepted based on the recognition of the character that the book was written on. 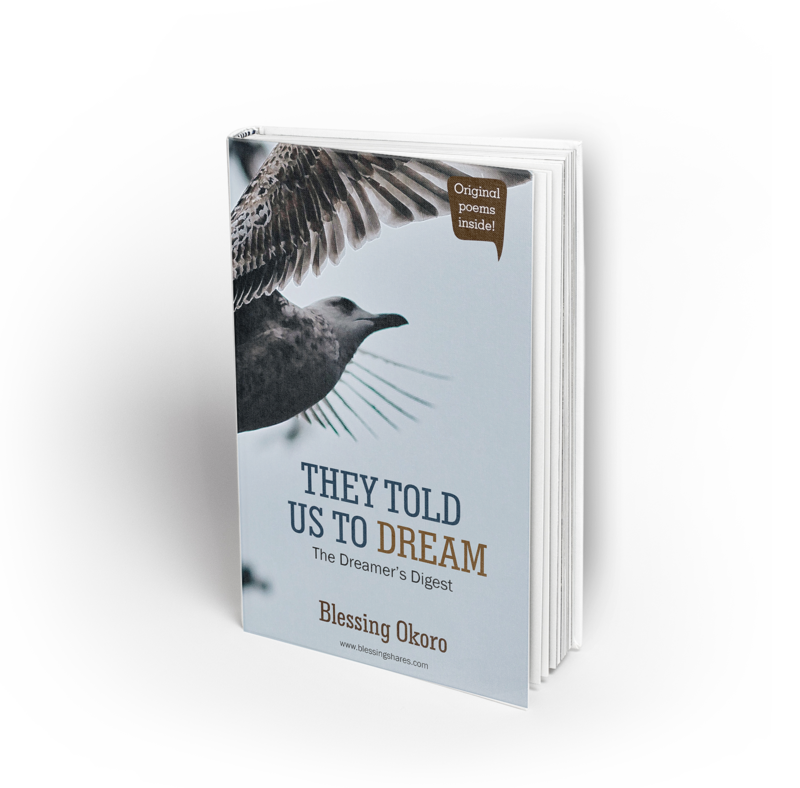 Also, I was delighted when I saw that my second published book was available for sale in Mary Martin Booksellers Pte Ltd. Lastly, whenever I see my name listed as one of the emerging writers in Nigeria. My acts evolve around writing; the power of speech would have taken precedence. I would be seriously involved in oratory such as coordinating events; been on stage and possibly becoming a lawyer. With this, I do not feel dejected after being rejected and I look forward to another day. My desire is to continue writing as it makes me feel fulfilled. I anchor a quarterly cultural fiesta called Yoruba Lakotun and I coordinate a monthly reading session with children in Correctional Homes in Lagos called Literary Reading Group. I review all forms of arts also. Writing is pleasurable to me. I do it at all opportunity; I equally pour out my anger in writing. My best writing is my novella titled, ‘My Children’ although it is not yet published. Be tenacious; don’t give up! Writers never die! Make your name ring across ages. Someone called me an ‘amateur writer’. Another said my writing needed more polishing. I felt hurt. What did they mean by that? Hello dear writer. 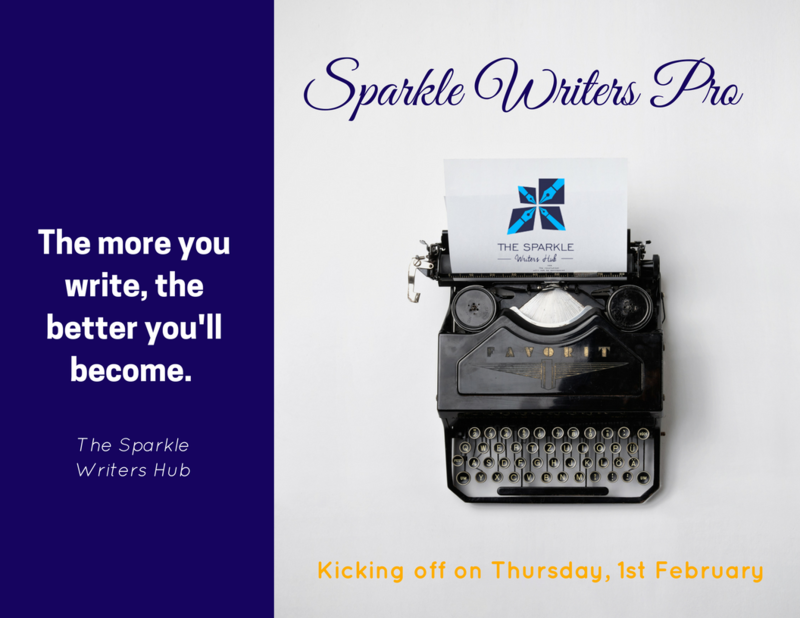 I welcome you to this special column on The Sparkle Writers Hub. I’ll be sharing with you real life stories of my writing journey. It has not been a smooth journey. I’ve made sacrifices, worked hard and even faced rejection, but my passion was what made everything worthwhile. So if you haven’t yet hit your big break as a writer, hang on. It really does get better with time. Today I’ll take you back to 2012. This was when I was inspired to wipe the dust off my writing talent and actually do something with it. A colleague of mine, Faramade Atilade, had noticed how I used to visit YNaija, Bella Naija and the other popular blogs during my free time. I especially loved the ’30 Days 30 Voices Series’ on YNaija. I loved the way all the different writers who were featured put together their words. It was sweet. Effortless. I wanted to write like that. In fact, I nursed a secret desire to be featured on the series but I felt inadequate. After a not-so-brief discussion with Faramade, I decided to write. I hadn’t written anything serious in years. I was excited. It took a while but I wrote a story about my first crush (I later posted it on my blog last year). I remember going to the office the Monday after feeling on top of the world. I shared the story with some of my colleagues. “You write well”, “Wow, this is funny”, “You should publish this.” Those were the comments I received. The last comment however stayed with me. Publish it? How? Where? My mind went to Bella Naija first so I searched for information on how to submit stories to them. At the time they used to feature short prose, I think they still do. Anyway I sent the email with great hope that my story will actually be published. Days passed…nothing. Weeks passed…nothing still. I felt discouraged. Then I remembered I had also stumbled on another great blog during my online adventure – Myne Whitman’s blog. I got her contact details and sent her an email. She replied the next day. Although Myne couldn’t feature my story on her blog, she asked me to sign up with Naija Stories and publish my story there. 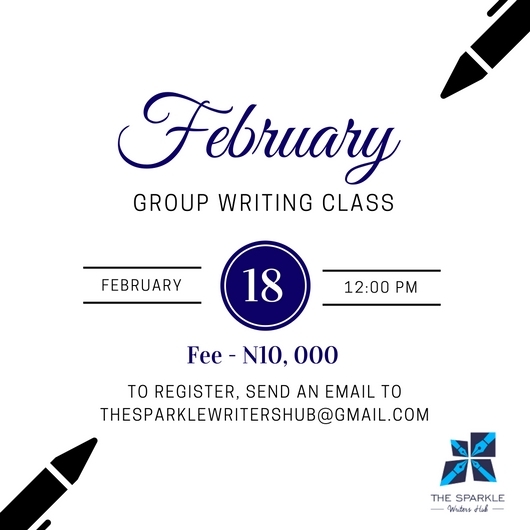 After going through the website, I signed up because I liked the idea of being part of a writing community. There was a process to getting published on Naija Stories. It wasn’t automatic but I got published nonetheless. Oh the joy I felt to see the words “Written by Doyin Jaiyesimi”. I couldn’t stop gushing. Then the comments came. Someone called me an ‘amateur writer’. Another said my writing needed more polishing. I felt hurt. What did they mean by that? I knew I could write so how dare the person call me an amateur writer? I took the comments in my stride and thanked the people who had positive comments. I decided to improve my skill and I put up another post on the platform. It was a poem actually – my first poem. Guess what? It was a hit. It was even chosen as Editor’s Pick for that week. And the comments were positive. I rode on that goodwill and wrote yet another story then another poem. Both were selected as Editor’s Pick as well. I was on a roll. Writers on the platform loved my work. And I was getting better at writing. The truth is I was an amateur writer when I wrote that first story. I understood why I got my first rejection. The fact that you love writing does not automatically mean that the first article you write will be hot cake. You need to work on your talent. You need to polish it. There is an art to writing and connecting with your readers. I learnt that when I got my internship with YNaija. Word of the Day- Have you heard of this word before? Welcome to another #WordOfTheDay series. The essence of bringing these words is to help improve your vocabulary as a writer. Words are very important for writers and the more words you know, the better your writing will be. When something is unalloyed it means it is in a pure state, containing no impurities. Unalloyed can also mean absolute or that no other feeling would diminish it. Other words that can be used in its place include sheer, pure, absolute, complete, total, undiluted. A president should have unalloyed loyalty to his country. The wedding of her only child was an occasion of unalloyed joy. We hope you use this word soon. Welcome to today’s class. We hope you are learning something new. These two words sound alike but don’t mean the same thing. Can you tell the difference? When something complements something else, that means it completes it, enhances it, or makes it perfect. You can say your shoes complement your dress or a wine can complement a meal, and two colors can complement each other. However, the word ‘compliment’, refers to an expression of praise (as a noun), or to praise or express admiration for someone (as a verb). You can compliment someone or pay someone a compliment. I complimented his new hair cut. It is common for people to use ‘farther’ and ‘further’ interchangeably but this does not mean it is correct. There is a slight difference between these two words. While farther refers to physical distance further is used to refer to figurative and non physical distance. Argentina is farther than the United States of America. Everyday Sola and his mother grow further apart. Do you have a writing space? Are you aware that where you write can encourage you to write often and write better? It will be nice to have a place where you go to do what you know how to do best without interruption. This post will help you create one. Tip 1- Choose a spot in the house where you really love to be. There’s no point setting up a writing space in a room that brings bad memories or a place where you feel least comfortable in the house. Whether it is the dining room, a bedroom or somewhere in your living room, look for a space you will be able to get work done. The writing space you create could be movable, if you live in a small place. Tip 2- Get the basic needs. Your writing space needs to have some basic things to be functional. Get a table, lamp stand or something that can provide light when you are writing in the night, basic stationery, a chair, a shelf to store books, your computer and any other thing that will make your writing process productive. Tip 3- Beautify your space. There’s nothing wrong with adding a little bit of colour and ambience to your work space. Entering into a beautiful work space can give instant joy and spur your writing muse. It is advisable to paint your work space with light colours, this widens the space and makes it feel more open. Get flowers, pictures of loved ones – all this makes your space more appealing. A little colour here and there wouldn’t be so bad. When your writing space is filled with unnecessary items like one foot of your son’s shoe, plates you used to eat few days back, it affects your creative process. Keep your writing space clean all the time. Tip 5- Get an inspiration/task board. Your writing space can have a board where you note writing tasks, deadlines, quotes or pictures that inspire you. This helps to keep you in a positive mindset and ensure you are up to date with what you need to do. Want to start a blog but you have no idea what to blog about? This is just the post you need. Starting a blog is fun. Deciding what to write about on the other hand can be a frustrating process. “There are many things to blog about”, you may have heard. So why is it so hard for you to find just one thing to blog about? We’ll help you simplify the process. Here are four steps that will help you discover the right topic to blog about. Step 1 – Discover what you are passionate about. The truth is you cannot blog about something you do not love. So you need to ask yourself, “What am I passionate about?” We are passionate about writing which is why we have a blog that is about writing. You may be passionate about fashion or cooking or even nature. Those are the things you should blog about if that is what you love. You’ll succeed better as a blogger when you blog about something that truly excites you. Step 2- Find out what you know that others can learn from. There are some things you do effortlessly. You may be good at organizing spaces or perhaps you are a genius when it comes to recycling stuff. You should blog about that! Your blog will have more followers when you can share things people can learn from. Don’t forget; no skill or ability is too small to turn into a blog post. Do you know the things you are frustrated about can form the basis of your blog? Is there something you dislike about the way things are run in your environment? Are you frustrated with the way women are treated? You can blog about these frustrations and who knows; soon you might be an agent of societal change. When people come to chat with you, what do you talk to them about? What are your conversations typically about? Do you constantly motivate people to be the best they can be? Do you share your faith at every opportunity that you get? You can start a blog with that. There are many things you do every day that if you pay attention to them, you can use them as topics for your blog. To run a successful blog, you must have an open mind. Creativity is needed. You can blog about anything you want as long as it is something you have interest in. Are you as excited as we are? We are featuring a talented and versatile writer on today’s #WriterSpotlight. Ayo believes that it is important for writers to remain humble even when they receive great compliments because of their work. Enjoy his interview with us. Hi. My name is Ayobami Wright. My pen name is Ayo Wright. I am a Christian by grace through faith. I am an Industrial Chemistry graduate of Caleb University. I am a writer/blogger. I am an emcee/rapper. I have also been involved in church related dramas. I am majorly interested in using my God-given gifts to positively inspire and transform my world. At the moment, I am preparing to go for Masters but I have been busy with reading, learning, music, writing and church dramas. According to your twitter bio you are a writer, industrial chemist and emcee, how do you manage all these? Lol. This question makes me feel like a jack of all trades. But to be honest, I am a learner in all these fields. I would say that God has been helping me to manage all of them. I have not professionally started using my BSc certificate. I have been in and out of rap since 2010 but I started getting more consistent last year. As for writing, I started in 2013 and became more consistent last year. So they have not exactly been clashing with each other. Why did you choose to write? I chose to write because I believe I have valuable things to say. I chose to write because I want to make a positive and everlasting/eternal impact on my generation and future generations. I chose to write because I believe I have a story to tell. A friend of mine inspired me to start blogging when she started blogging and touching lives in the process. I have realized that writing is one of the best ways to express myself, so in summary, I chose to write because I want to express myself and positively inspire people in the process. One lesson I can say I have learnt is to always write down story ideas and article ideas whenever and wherever they pop up (either using a phone memo pad or a jotter close by), even if it’s just to write down three words peculiar to the idea. I have also learnt to be unique by being myself when writing. People (including myself) really appreciate originality and uniqueness. And also, I have learnt that in order to be a great writer, one must be a great reader, observer and thinker. It is hard to pick one particular moment, but every time someone tells me or comments that he or she was blessed or inspired by a piece of mine, I feel fulfilled and grateful to God, or in your words, I experience a rewarding moment. As for the most rewarding, I think it is between when a friend of mine said she literally got pinched as she read a piece I did last month and when my mom said, with an amusing tone, “You write well”, after I read a particular article I was working on to her. I have not experienced any form of rejection as a writer. I actually haven’t thought about this before. But as long as I’m alive and I can still get ideas, observe, think, imagine and type/write, no retirement for me. That one thing is to be more observant. To see what others are merely looking at but not seeing. I read, or chat, or play video games, or surf the internet, or write, or watch TV. Continental Food or African Delicacy? African Delicacy. Fiction or poetry? This is hard. Poetry and some form of fiction. A bit of both. Why? Because if I consider it as pleasure alone, I may not be as diligent and consistent as I should be at it. So the work part is where the discipline comes in. It is very hard to pick one, but I would say based on the reception and how I felt while writing, “What was I feeling like?”, “Turn up”, “E de inside”, “The Game of life”, “Just do it” and “MrClaykinson said ‘oh boy, I am too messy abeg’” are up there. I still consider myself as an upcoming writer though. Anyway my fellow upcoming writers, be yourself, don’t be boxed, read more, observe and imagine more and most importantly, always ask God(the giver of the gift) for help and remain humble when the mind-blowing, overwhelming and complimentary comments are thrown at you. Are you excited to learn a new word today? We are excited to teach you. When something is done under the aegis of someone or an organization it is done with their official support, protection or backing. Under the aegis of the Vice chancellor, the bursar declared the University Games open. Other words that can be used in its stead are: auspices backing, protection, shelter, umbrella, charge, keeping, care, supervision, guidance, guardianship, trusteeship, support, agency, safeguarding, defence, championship, aid, assistance, guaranty. How many times have you wondered what the difference was between antithesis oxymoron and a paradox? Today we will give you the answer in the simplest form. Antithesis simply means putting two opposite words or ideas in the same statement to create a contrasting effect. In antithesis the sentence does not contradict itself. Man made money but money made man. A paradox is a statement that appears to be contradictory but contains some truth. Sometimes the statements could seem true and untrue at the same time. Your strength lies in your weakness. An oxymoron on the other had places two opposite words side by side. The movie had a bitter- sweet ending. Sade wept joyfully after seeing her dad for the first time in 15 years. Everyone has ideas. It’s possible to get ten in a day but how many people eventually turn them into stories? Probably just a few. You can be coming down from a BRT bus and the scene at the bus stop inspires you to write a story. S you grab your jotter and scribble a few lines. Days later you pick up the jotter and you can’t remember what in the world you were thinking when you wrote that down. You are not alone. Many writers have this challenge but what can you do about it? Take a step. No idea can turn itself into a story. You have to do it. The fact that you got the idea in the bathroom when you couldn’t jot your thoughts down is not an excuse to give up on a story. If you have forgotten the way you initially decided to create your story, come up with something else. It’s a great way to exercise your creative muscles. Make an outline. Ideas are fickle. If you don’t write down the outline for your story you may end up forgetting. Develop your ideas when they are fresh. The best time to write is now. What exactly do you want to achieve with your idea? Write it down. This makes everything easy to remember when you need to go back to the story. Develop a fantastic scene. Why don’t you try to develop a scene already? Take your idea to another level. This scene should form the core of your entire story. Once this is done, you will have a story line to continue from when next you want to write. What other methods have do you use to turn your ideas into stories?